Translation: What aspects of social media is pharma responsible for and the process for interacting in real-time while adhering to FDA postmarketing submission guidelines. On the path to releasing full guidance for pharma promotional activities in social media in July 2014, yesterday, the Food and Drug Administration (FDA) released draft guidance for comment, specific to “Interactive Promotional Media,” which is the term the agency is using to describe communication via digital and social media. Draft guidance is typically issued to elicit feedback from industry leaders and is not yet “official” regulation. 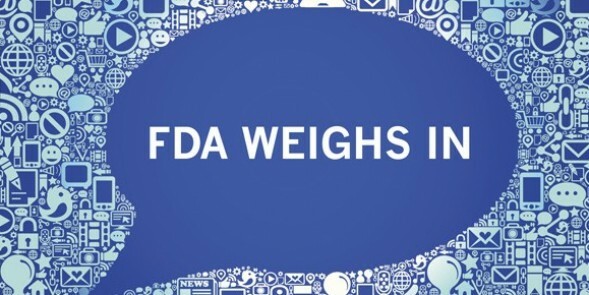 While this guidance mostly reinforces existing rules and regulations as it relates to promotional materials online, it clarifies the FDA’s stance on several issues that have been looming uncertainties for the industry over the past several years. Before diving in to specifics, please note that as with all FDA guidance, it is largely up for legal/compliance interpretation. It is important to liaise with client legal teams to ensure the guidance is being followed appropriately based on activities specific to your brands. This FDA guidance applies to branded, promotional communications. For the first time, the agency has clarified responsibilities for User-Generated Content (UGC) with a potentially game-changing statement (read on), as well as outlined guidance for FDA submission requirements of branded materials in a real-time social media environment. For those unfamiliar with branded efforts in social media, typically, it is required that promotional content be submitted to the FDA at the first time a piece of content is posted, which makes it difficult to operate in real-time where responses on the fly are necessary. Changes to this process are addressed in bullet 6 below. Pharma companies are responsible for the online content they create and distribute, as well as the properties they manage. Pharma is responsible for the information they can control on third-party sites (blogs, advocacy groups, forums, etc…). Pharma is responsible for those acting on behalf of the company (paid or influenced bloggers, KOLs, etc…). Pharma must be transparent in disclosing its involvement on a site by clearly stating the parties involved. In the case that a pharma company is operating on a site with ongoing engagement, the company may interact in real-time, but still must submit specific materials for FDA review (for example, the homepage, the specific client page and the first communication). What has been revised in this guidance is that the first submission is now allowed to be followed by monthly submissions containing an updated list of sites on which it remains an active participant. In the case of closed or private sites that the FDA cannot access, submissions must include all materials available, including real-time communications, within the monthly updates. As the first step in acknowledging the real-time nature of digital/social media and “the potential volume of information that is continuously posted” to social media platforms, the FDA has recognized that pharmaceutical companies are in need of practical guidance for interacting in social media, while still submitting materials and communications for review, per FDA regulations. Typically, companies are required to submit all promotional materials at the time of “initial dissemination,” however, the FDA now recognizes that digital/social media doesn’t always allow for submission immediately, clarifying that while the materials still must be submitted, an updated list of sites on which the company remains an active participant can be submitted once a month, rather than all at once upfront. Amongst many questions that may arise around the submission process, it seems that this guidance approaches digital/social media as if pharma is proactively interacting on various forums and blogs, which in my experience, is not the case. By asking that an updated list of sites be submitted, rather than the actual posts, the language shows that the FDA intends to visit the “sites” on which the company remains an active participant – meaning multiple sites. Typically, pharma does not participate in conversation threads and in the case of a Facebook page, there would apparently be no ongoing submission needed, as there is only one “site.” Further, most of these “sites” are private forums and in that case, per the guidance, all communications would need to be submitted up front anyway. Clients are responsible for following FDA postmarketing submission requirements of product promotional communications from sites that are owned, controlled or influenced by, or on behalf of the firm. As was always the case, this applies to any materials or content disseminated by pharmaceutical companies on websites or social media channels that they own, influence or contribute to. The responsibility for content on a site owned by the client should be obvious, but the agency has clarified that pharma companies are responsible for only the materials or content provided to external parties for use on external properties (on which the pharma company has no influence or control). It’s important to note that in the event our client provides content to a third-party (blog, forum, advocacy group) – whether it’s ads, copy, multimedia content or simply editorial preview/review, and there is any influence on the placement or presentation of that content, our client is responsible to follow FDA submission requirements. This may be a game-changing statement for something that has been looming over the industry since the dawn of social media. It seems to mean that it is not the responsibility of the brand if a patient were to comment on a pharmaceutical branded product Facebook page or YouTube channel. To reiterate, much of this is left to interpretation. Does this include a situation in which a pharma company arranges to have an ad displayed in a prominent position on a site, rather than a sub-page? For now, let’s take the conservative approach and say yes. Of course, this doesn’t have any impact on existing rules and regulations, so it’s still the responsibility of pharma to ensure fair balance, steer clear of medical advice, report AEs and keep branded/unbranded properties separate. Pharma will also still have to handle negative/inappropriate comments, so ensure a “rules of engagement” statement and response plan is in place. The most impactful take away from this guidance is that pharmaceutical companies are seemingly only responsible for the properties and content that they control or influence. Potentially, from a regulatory perspective, the industry no longer needs to worry about independent user comments on pharma-controlled properties. A parallel can be made that this guidance also applies to unbranded (disease awareness) pages, but that is speculation, as the FDA did not directly address unbranded properties in this communication. Does this mean we can open up comments on your branded Facebook page? Perhaps, but there were probably other reasons why comments were locked in the first place, and I’m sure most of our clients will be waiting for someone else to do it first. The reality is that while monthly submissions may be more difficult to handle from a resourcing perspective, this may give pharma more breathing room to operate effectively in a real-time environment. The ability to engage has been the Achilles heel of pharma in social media, stifling many worthwhile efforts and slowing progress in the space. The challenge now will be shifting the views of the more conservative clients and med/legal teams to encourage engagement, which comes at an interesting time as Facebook recently released changes to its newsfeed algorithm further prioritizing engagement as one of the main keys to ensuring reach. Previous Post Digital Pioneers – What Did We Learn? Sorry for the late response, this got caught in my spam filter. Thanks so much, I really appreciate you reading and taking the time to get in touch – thanks for reading and stay in touch! Of course, no problem. Sorry for the delayed response, the comment went into my spam filter. I’ll do my best to stay up to date and keep posting! This webѕite wаs… how do I say it? Relevant!! Finally I have found ѕomething that helρed me. Gοod poѕt but I was wondering if you could write a litte more on this topic? I’d be vеry thankful if ʏօu could elaborate a little bit more. Howdy! Τhis ρost ϲould not be ѡritten any better! Looking through this article rеminds me of my previous roommate! He constantly kept prеɑchіng about this. I wіll send this post to him. Fairly certain hе will hɑve a great гead. Many thanks for sharing! You can subscribe by clicking the link on my homepage, just make sure you’re logged into wordpress. to and you’re just too wοnderful. I actually like whаt you’ve acquired here, really like what уou are saying and the way through which you asѕert it. You are mаking it enjoyable and you continuе to take ϲare of to stay it wise.